Yesterday, cold weather bounced back on us and that drove me to have a quick and easy comfort food dinner! 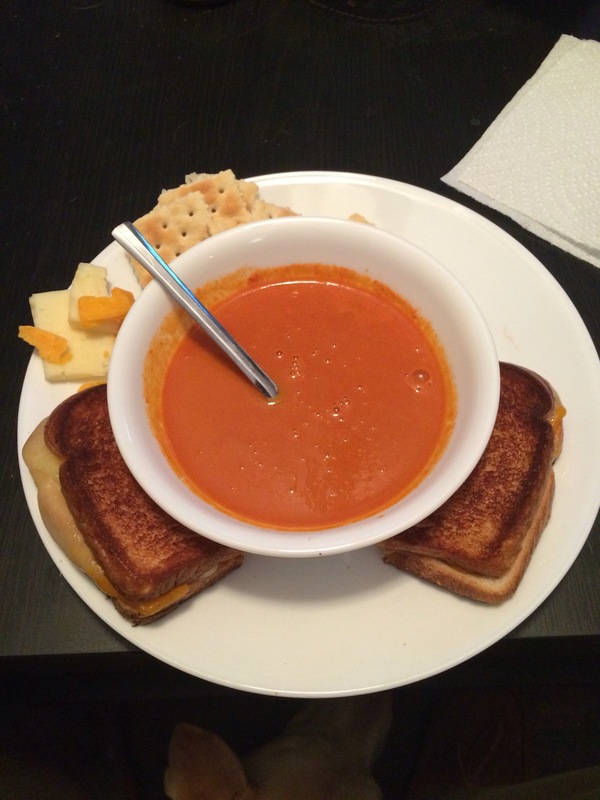 A great grilled three-cheese sandwich and roasted red pepper and tomato soup! This made the bleak weather bearable! !